UPDATE: We've located Roanald's Twitter account! Let's face facts: The job market isn't what it used to be. And with so many people in the applicant pool, you need to be on your A-game if you're going to get noticed. 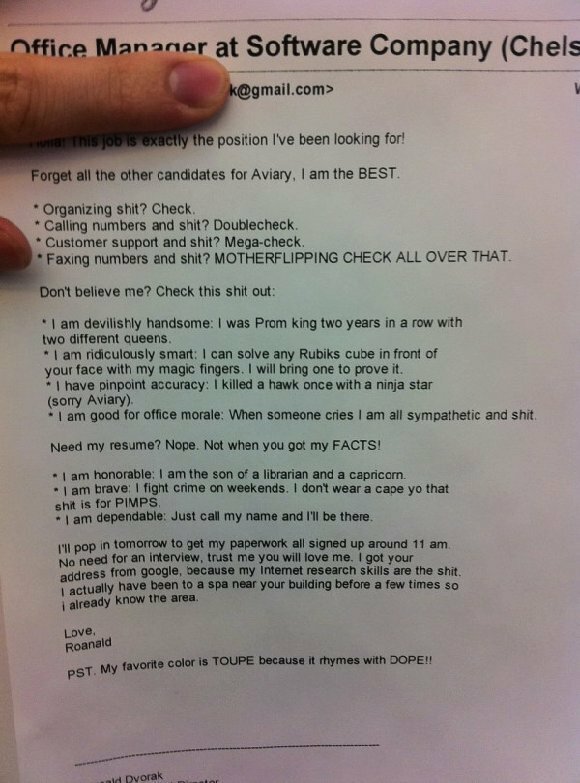 If you're looking for work, it might be a good idea to take a look at Roanald's awesome cover letter below and then use it as a template. What could possibly go wrong?